I love fall, but there comes a day when I am really not happy that the season is starting. That's the day when I realize that my hummingbird visitors who have been coming to my deck for four months to feed have decided to head south for the winter. Today is September 16 and I am resigned to the fact that I will not see a hummingbird for the next eight months. 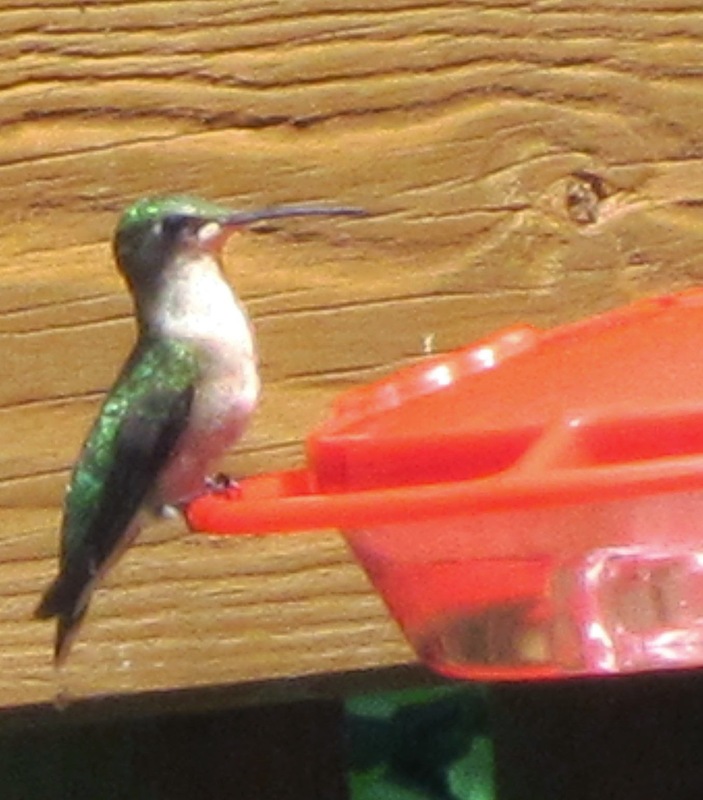 We had one female who came to the feeder all summer long after somehow dissuading a male hummer to back off. She has been gone for a while now I think. Even though I have seen a couple of birds this past week, I know they are travelers who are stopping by for a quick meal on their way from further north to the warmer south. How these tiny puffs of color manage to fly from here to Central America and return to the same breeding grounds each year is beyond me.That's why it is such a miracle to see them in the spring. Can't wait.